The Suwayda delegation said the Democratic Autonomy model would work for the whole of Syria. Members of Suwayda Democratic Secular Syrian Society Party, Semir Ezam and Yahya Ebu Raêd, and members of the Syrian Future Party, Xedîce Al-Zahir and Merwan Hesen, paid a visit to Qamishlo and were met by co-chair of the Foreign Relations Council, Abdulkerim Umer and members of the council, Rania Xelîl and Alan Reşo in Qamishlo. During the visit the delegations discussed the Syrian crisis and political solutions for the future of Syria. Aware of the success of the Democratic Autonomy experience in Northern Syria, members of the delegation stated that this system would be accepted by all sections of society and that the model should be transferred to all regions in Syria. Abdulkerim Umer, from the Autonomous Administration, reminded that the negative situation in Syria led to sectarian conflicts and internal crises and that this represented an obstacle to the future of Syria. Stating that a political settlement in Syria would be in the interest of everyone, Umer added that there is a need for all parties to work for the building of a democratic country so that sectarian conflicts would end and social unity reinstated. Umer said that the terrorist threat can be defeated through the unity of all sections of society. 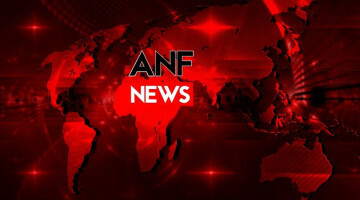 Semir Ezam said the visit to Northern Syria was made upon the invitation of the Syrian Democratic Council (MSD) and added that the delegation will be holding a series of meetings with officials of the Democratic Autonomous Administration as well as political party representatives. Ezam said: "The blood of the martyrs was never in vain. With the sacrifices of the martyrs, the region was liberated from the most terrible terror in history. Thanks to the martyrs, the people of Syria have now regained hope for a democratic country. The martyrs are the basis of a democratic Syrian that should include all colors, such as in a mosaic". 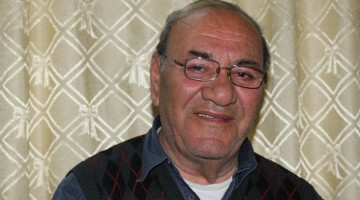 Ezam pointed out that he was hopeful that the Syrian crisis will be solved and the refugees will be able to return home. Semir Ezam also said the delegation will share the experience and "what we have seen in Northern Syria to the people of Suwayda. With the help of the Syrian Future Party, we will open an office in Suwayda. We will strengthen our efforts to promote the concept of the new Democratic Syria".